If you're one of countless allergy sufferers struggling as the weather turns and the outdoor air grows thick with pollen, you’ll want your home to be a safe haven from the polluted outside world. But is the air in your home as clean as you need it to be? Probably not, but fortunately there are a number of ways to improve your indoor air quality (IAQ). Here are some of the tips you should follow if ragweed is your worst enemy. The first step to improving your IAQ is keeping your windows closed. The wind carries countless threats of pollen, dust, and pollution through your windows and into your home. So, by keeping those windows closed and the cooling on, you prevent bad air from accumulating and getting trapped in your home. 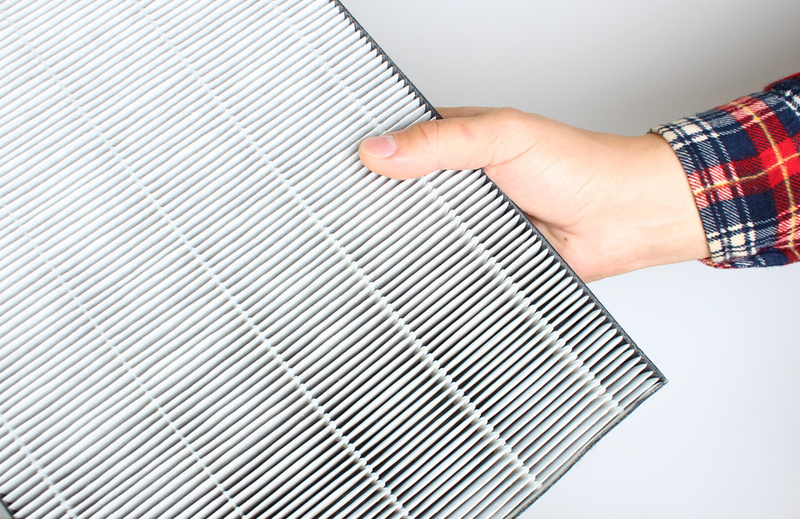 If you haven't replaced your residential HVAC filters, you're bound to experience worse allergies and poorer air as a result. Before the start of the summer and winter, it's essential to have a heating and cooling service company inspect and clean your HVAC system. One thing they can do is vacuum your air ducts to get rid of the dust, dander, and other air-borne particles that accumulate in them during the off-seasons. Another thing they can do is replace your filters, which should routinely be done every one to three months. A reliable heating repair company will help ensure your air is properly filtered before it warms or cools your home. Air cleaners come in a variety of forms and finding the right one for your home is an important step to improving the air inside your home. A portable air cleaner may work well if it's in a high pollutant area like your basement, while a smaller air cleaner is best for smaller rooms with little to no pollution. However, a central air purifier added to your central air system is the best option. These purifiers often use ions to capture the pollutants and expel cleaner air. In damp or dry areas, you might also want to utilize a dehumidifier or a humidifier. While cleaning your floors is a given, allergens and pollutants also live on your curtains, your couch, your bed, and on your clothing. If your allergies are still causing you to suffer after you've cleaned the floors, you might want to look into cleaning anything with fabric since this is the type of material that allergens cling to. There are several things you can do on your own to improve your home’s indoor air quality. But for maximum impact when you want to create a safe space that's allergen-free, you need to call a heating and cooling service company to ensure your HVAC equipment is clean and working properly to filter out harmful pollutants. Call Morrison Inc before the weather turns to breathe easier all winter long.